The way to any man’s stomach, if an age-old proverb is to be believed, is through his stomach. 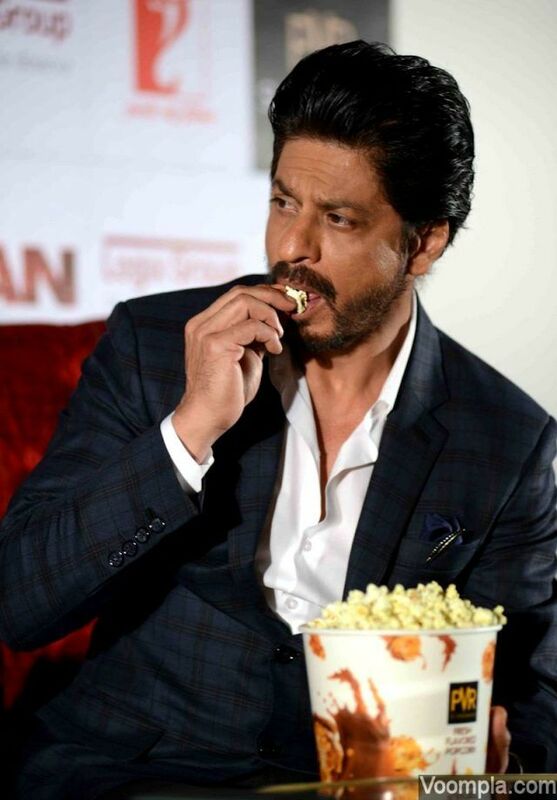 In the case of Shah Rukh Khan, I thought, after seeing him down innumerable cups of coffee with cigarettes, I thought that would be his sustenance. That myth was broken during one of my really early interactions with King Khan when I asked him what does he miss most about Delhi? “The non-veg food, especially the tandoori chicken!” came the reply. It is a less known secret that one of the most photographed and recognized people in the world ‘hates it when someone takes pictures while (I am) eating!’. 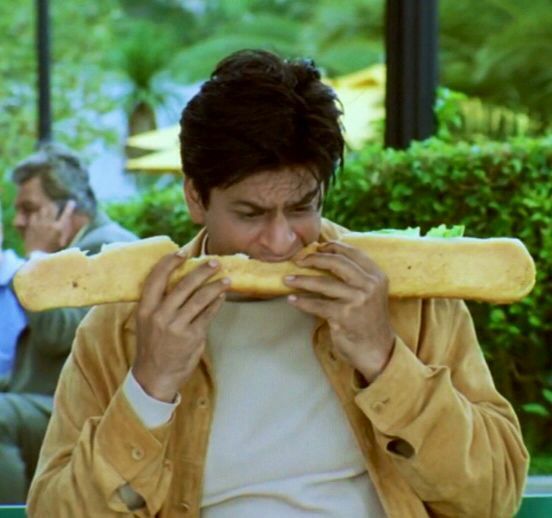 He also is normally very shy when it comes to eating in public. 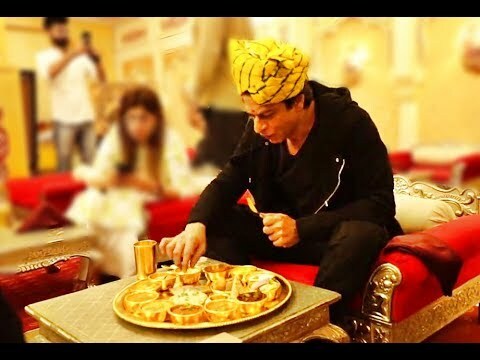 I have attended Eid dos at Mannat, been invited for press meets with SRK over food. And I can vouch as an eyewitness that he will rarely touch his food in the presence of people. So much so that on a birthday when he cut his cake, he only had a teeny bite from the director, out of politeness! Food is a very personal and sensory experience – something that is meant to be savored I don’t obsess over food in the sense that foodies do. I cannot tell the difference between mulligatawny and lentil soup and only recently learnt how lasagna is different from pasta. A lot of people are shy, you ask them if they’ll eat something, they’ll say no. I’m like that. Food is not the basis of conversation for me. It is more like ki khana hai, bas. My mother used to say, ‘You should eat the food you like and wear clothes that people like’. I am actually not so fussy about food and eat anything that is given to me. This is probably because I was taught very early on that food is allah ki neyamat. So how can anything gifted by God be bad? 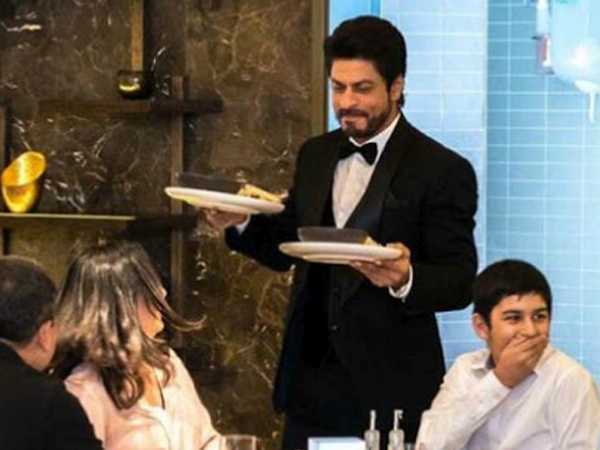 But I generally avoid food cooked on the sets because it can tend to get heavy and that means extra hours in the gym, that, at my age, can get difficult. I like simple, home-cooked food. I get lunch from home – tandoori chicken or fish, and sometimes, bean sprouts or a vegetable dish. I am addicted to tandoori chicken and I can eat it 365 days a year. I love non vegetarian food – especially grilled chicken and the homemade Tandoori chicken. I have mutton occasionally. I prefer Mughlai or Hyderabadi cuisine – the spicier, the better! But my favorite food was the sort my parents would make, often together. I’ve traveled all over the world and tried out all the local food wherever I’ve been. But in the end, I’ve come home knocking for dal-chawal! I have grown up on Mughlai and Deccani food. See, my father was a Pathan and their love for food is legendary. My father loved not just eating, but also cooking. So my Pathan father’s raan would make a perfect combo with my Hyderabadi mother’s mutton biryani and the khatti dal. My parents used to mix these and feed me. And often there was food from the restaurant they ran (De Ramble’s above Palika Bazaar in New Delhi) – butter chicken and mutton korma. I can’t seem to forget the food my mom and dad cooked. The aroma of the masaledani was unbelievable. She would get some of the masalas from Hyderabad only or make them at home from scratch. I look back at those memories and realize how they would cook together in the kitchen. It was romantic. And it was pure gastronomic excellence! Well, not too much. I have baked Batman cookies with Aaryan when he was a little boy. I can boil eggs, make tea. And I make very good phulkas. I can make rather decent pasta also. Gauri is better though – she makes this really nice ice cream with digestive biscuits. She also does chocolates for the children. My cook, Mohammad Shamim, who has been with us for ages now, will probably keel over if I were to enter the kitchen to cook at home. I can eat in the kitchen if I like, but it would be blasphemous to enter my own kitchen to cook if he is around. Aarti has been a journalist for a little less than two decades and has worked with some leading names in print and electronic media. She hates labeling her adoration of Shah Rukh Khan…and only insists on calling him a ‘murshid’. In her free time she moonlights as a freelance agony aunt for her friends and is best friend to her 10 year old son. Well he loves his food like every man on this earth.